What are the laws regarding Drug Trafficking in Florida? If you have been arrested for drug trafficking, it may feel as though your life is over. As you are handcuffed and taken to prison, you may think that all hope is lost. The police and prosecutorial system are designed to make you feel that way. What you must keep in mind is that you are innocent until proven guilty. An arrest does not amount to a conviction. And you should say nothing to the authorities until you have spoken to an attorney. Your arrest is serious. 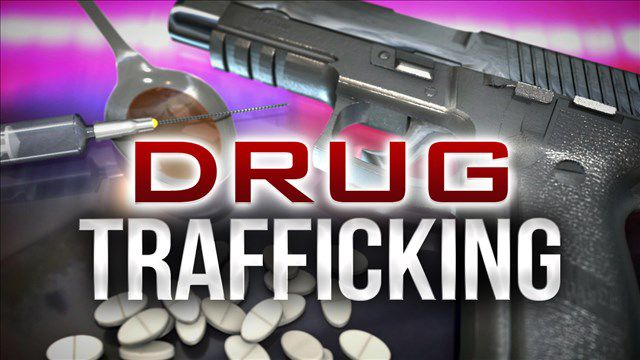 A conviction for drug trafficking comes with very severe penalties in Florida. Depending on the number of narcotics you are proven to have trafficked you can be sentenced to 15 years in prison and made to pay a $15,000 fine. That is why it is so important that you contact a criminal defense attorney the very moment you are arrested. Hiring William Hanlon Tampa criminal lawyer can give you more options than you thought were available. Your arrest may be completely unjustified. You may have been in the wrong place at the wrong time. You may have been staying or socializing with friends when the police came through the door and made a mass arrest, sweeping you up along with the others. This kind of thing happens all the time. Anti-narcotics units operate throughout Florida. A lengthy investigation may have led them to a particular location or person. You may happen to be associated with both at the time they made the arrest. However, this does not put you on the hook for the crime. The first thing your lawyer will do when they reach the station is looking at the evidence the police have against you. Law enforcement often exaggerates the evidence they have on people in custody. If your lawyer finds that they have no evidence connecting you to drug trafficking, then they will arrange for you to be released. However, if the police do have evidence against you, if there is enough to charge you with drug trafficking, then your lawyer will start building your defense. The first thing they will need is for you to tell your side of the story. Based on this narrative and the preliminary facts they have been able to gather they will start to develop a legal strategy. Your lawyer will employ their own professional investigators to review the facts of the case. They may re-interview witnesses and re-examine the case the police have opened against you. Your lawyer will also take a hard look at the connections the authorities have made between you and the trafficking operations. They will be able to find the shortcomings of evidence and discern the weaknesses in the argument. This can prove favorable to your defense and may even lead the prosecution to drop the case. If it turns out that you were involved in drug trafficking and are prepared to plea to it, your lawyer may be able to get you a deal. Police and prosecutors may be running a much larger investigation into more significant drug traffickers than you. You may be able to provide them with vital information that will lead to the arrest of these figures. Your lawyer can arrange an exchange of the information that you have for a reduced punishment. This can mean a suspended sentence or little to no jail time.